We’re celebrating in the biggest way ever! This year has been incredibly busy and the fact that it’s drawing to a close has forced me to reflect on some of the things I could have done better. Clearly, the new year has the ability to give most of us the push that we need to make changes and it’s certainly done that for me. 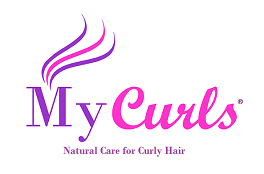 So, I finally did it and am pleased to say that My Curls now has a gorgeous, newly developed site that’s far easier to use but still contains all of our signature products. I’ve now vowed to make a few more changes in 2017. For instance, updating the blog way more often and answering your burning hair questions at least once a month. I’m also going to be more active on social media. We have well over 40,000 engaged Twitter and Instagram followers and they’re yearning for more hair inspiration so I’m making a commitment to post more frequently and share some of the great things that we’re doing at My Curls. Finally, to celebrate all of these new goals and achievements, I’m holding our biggest ever sale and it’s open to all customers no matter where in the world you live. Yes, we now ship internationally which means that our American and Canadian sisters can try out our products with ease. Click here to view our new website and grab the 30% discount (no coupon code needed!). Now, it’s over to you. What changes are you making in 2017? What do you think you could have done better? What would you like to see change in the year to come? Share your thoughts and ideas below. I can’t wait to read what you have to say. Back in October, I wrote my first article for The Huffington Post. Writing for Huffington was one of my biggest goals of 2014 and I was so happy when THE Arianna Huffington gave me the opportunity to become a blog contributor. I wanted my article to be heartfelt because I often find that when I write from the heart, I create my best pieces of work (I guess that’s only natural, right?). 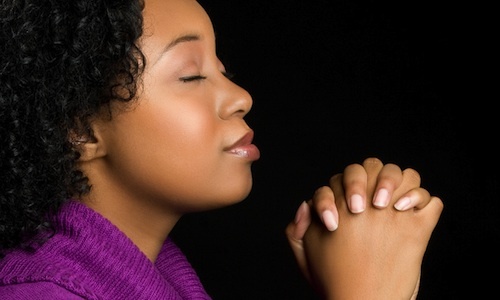 And so, I wrote about a real life situation (which you can read about here) and in the article I share a pearl of wisdom that might just transform how you handle difficult situations and dark times. Click here to read the article in full and discover what that one simple but highly effective mindset shift is. The past few days have been a complete roller coaster ride! I’ve cried, danced, skipped, jumped, screaaaamed and sobbed. It’s been insane! In fact, I don’t quite think I can articulate how amazingly insane things have been. Let me take you back to a few days ago when I heard that Marie Forleo was giving away a scholarship for her flagship programme, RHH B-School. For three years I’d wanted to take part in the programme but it seemed like a distant dream. To enter the contest, I had to face one of my biggest fears- being on camera. I am THE most camera shy person ever. In fact I’m one of the shyest people I know so being on camera is completely out of my comfort zone. Despite my whole body being filled with nerves, I decided to face my fear and just do it. I poured my heart into my video and shared my story. I realised now that my nerves stemmed not from looking the camera in the eye but from the feeling of vulnerability that comes with being on camera. Putting yourself out there isn’t easy. It takes bravery, courage and heart. The biggest thing I learned from posting up my video was that your fears are never as scary as you think they are! Fear is irrational, silly and it doesn’t make sense. Fear is also totally normal and natural. The virtue of it being normal means that it, like any other natural thing, comes and goes. We can’t help feel it but we can confront it and choose to not let it paralyse us. I know now that when you face your fears they dissipate and that is a great thing! Isn’t it amazing what you can learn in a few days? I want to thank you for supporting me. I was completely and utterly flawed by the level of support and encouragement that I received. Thank you, thank you, thank you!!! From the tweets to the Facebook posts and emails, the support was amazing and I am forever grateful. I’m determined to make the most of this opportunity, to work harder than I’ve ever worked and to make My Curls an awesome business that transforms lives. March is just around the corner and I have so much planned for the next few months. I’m super excited and am forever grateful. It’s not often that I beg. In fact, I’m usually the last person to ask for anything and have the awful habit of trying to do everything myself. However, over the years I’ve come to realise that sometimes a girl needs a helping hand and it’s perfectly okay, natural and normal to ask for help when needed. In fact, by doing so you’ll come across dozens (maybe even hundreds) of people who’ll be there to help you out. So why do I need your help? Well, I’m in the running for a business scholarship. It’s for an online business programme called RHH B-school. The programme is meant to be one of the best online business programmes available and is lead by one of my big business inspirations and mentors, Marie Forleo. Words can’t describe how awesome Marie is! She’s gone from being a girl with a dream to building a million dollar business. Aside from that, Marie’s weekly videos have inspired me to change my thoughts, beliefs and actions for years now. She’s an incredible woman and I can hand on heart say that it is one of the biggest dreams of my life to take part in this scholarship. In order to win I seriously need your help. Firstly, I need you to please pretty please watch my video entry. In this video I share my story of how I went from being unemployed with no business experience to starting my own hair care brand. I also share my vision for My Curls and reveal the very things that inspired me to start my business. I’ve always been afraid of being on camera, it’s just one of those things that makes me go ‘Aaaaaaghhhhh’ but in order to enter the scholarship I had to face one of my biggest fears. Throughout the video, I had the phrase ‘feel the fear and do it anyway’ running through my head. I was absolutely petrified! But despite my fears I decided to face the camera and just tell my story. Once I turned the attention away from me and onto the purpose of the video, the fears dissipated into thin air. Take that fear! I can’t say it enough, I really, really want to win this scholarship and the possibility of winning means the absolute world to me! 2. Leaving a comment under the video. 3. Sending a tweet to @Marieforleo and telling her why you think I deserve to win the scholarship. Your reason should be honest and should reflect what you think is great about My Curls. I’ve already received lots of tweets, Facebook messages and words of support from some of the most amazing people ever! I’ve been utterly flawed at the level of support I’ve received and can’t thank you enough for everything. It means the world to me! If I win, I’ll be jumping for joy and you’ll watch me turn everything I learn into mega success. I promise!!! I’m also really considering doing Youtube videos more often. In the comments below tell me what you’d like to see me post about on youtube. Hair tutorials? Q&A’s (questions and answers) or something else? I’d love to hear your thoughts.